Liverpool council “is confident” that it can address concerns from nearby boroughs that a huge social work recruitment drive – which aims to cut its practitioners’ caseloads by up to half – could destabilise the local job market. The £7.7m additional investment, which will create 160 new posts and take the council’s spend on children’s services to £22.8m, got the seal of approval at a cabinet meeting last week. It is meant to address concerns raised in an Ofsted inspection report last spring, which saw the council rated “requires improvement”. The regulator warned that high caseloads had “compromised the quality of social work practice” in Liverpool. This week it was reported that the director of children’s services (DCS) at neighbouring Halton council, Tracey Coffey, had highlighted the potential threat Liverpool’s plans could have on its workforce during a council children and young peoples’ policy meeting. Other recent council papers from the Merseyside borough described the demand for children’s services staff across the city region as driving up agency worker pay beyond agreed rates. Many local authorities are struggling to reduce numbers of agency practitioners because of the national social worker shortage, and are reviewing remuneration packages in a bid to attract permanent staff. But Liverpool’s DCS Steve Reddy told Community Care he was confident that any local concerns could be allayed. Liverpool’s initiative, centred around a restructure of children’s services and an increased headcount to 473 staff, will include 115 new social worker roles. Alongside this the two-year plan includes 18 new senior social worker roles, seven team managers and 11 independent reviewing officers (IROs), as well as 22 deputy team managers, posts that are being reinstated after being culled in a 2014 restructure. The remainder of the increased headcount will consist of family support workers, social work assistants, leaving care personal advisors and family group conference co-ordinators. The council attracted £5m of central government funding, which has been wholly allocated to children’s services. It also anticipates being one of the 20 local authorities to receive a slice of the £84m funding announced in the 2018 Autumn Budget, last week’s cabinet report said. Reddy told Community Care that the investment and strategy aspires to slash average social worker caseloads by up to half and reduce the number of handovers. Current average caseloads – between 20 and 40 across different teams, with IROs currently holding up to 100 cases – are too high, he added, also citing the city’s looked-after children population of 1,300, and plans for the restructure to reduce this to “around 1,000″ by 2022. As well as taking on staff, the restructure includes the deletion of consultant social worker posts, created in 2014 as a dual role of managerial responsibility and practitioner with reduced caseloads. Reddy acknowledged that the dual role had not worked out in Liverpool. “In practice, post-holders have either taken on fully the managerial role or have retained a full caseload and have then had difficulty undertaking their supervisory and management oversight responsibilities due to capacity within the service,” the cabinet report said. In their 2018 report, Ofsted inspectors flagged up capacity issues and delays in onward transfer of children’s cases, meaning some of Liverpool’s social work teams were carrying additional work. “For example, the assessment teams are holding children’s cases that should be with the permanence teams, so some children are not benefiting from the expertise and knowledge of permanence workers,” inspectors said. At the time Reddy noted that high workloads create inconsistent or poor-quality practice, and that while social workers knew “what good looks like”, they simply had too much work to do. The proposed restructure is working towards an average caseload of 12 in city-wide assessment teams, 18 in safeguarding teams and 65 for IROs. Reddy said that a core part of the new recruitment strategy would involve working with local higher education institutions around apprenticeships – which were signed off late in 2018 after long delays – and on programmes to grow its own social workers. The council will be taking on 10 Step Up to Social Work students in the next cohort. 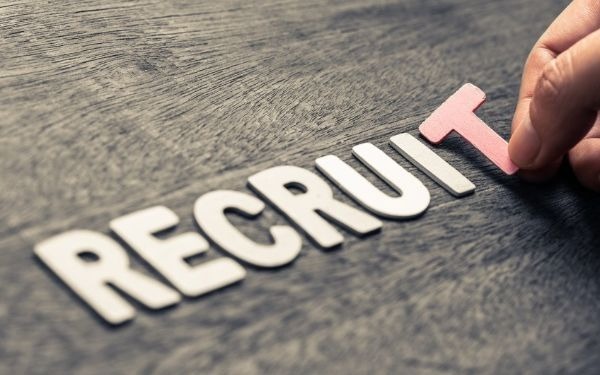 He added that there has been some “significant success” in recruitment over the past 12 months – without the need for retention bonuses or similar initiatives. “The redesign offers a career structure for social workers that will be attractive to experienced social workers that want to remain in practice, and others that wish to move into a managerial role,” Reddy said. 160 new posts! £7.7m additional investment!18 new senior social worker roles! Hooray! Theresa May was right; Austerity is over!! How can you get onto the social Work apprenticeship. Is there an age limit. I have been working in social care for 15+ years. But can’t afford to leave work to study. If neighbouring authorities are concerned that Liverpool’s offer will lead to them losing staff, they need to up their game and be offering good pay and working conditions (caseloads, support etc), so people won’t want to leave.